Are you looking for a different way to cover your home? Whether you’re in the market for a house you’re about to build or just want to replace the siding you have now, vinyl siding is a great option. 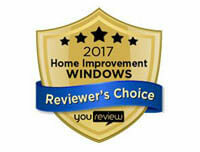 At Advanced Window Products, our experts know vinyl siding installation and can be called upon for advice and expertise at any time. There are a lot of perks to choosing vinyl over other types of siding. Vinyl siding doesn’t require much maintenance beyond pressure washing now and then, which means you don’t need to re-paint every five years like you do with wood siding. Vinyl is also quite durable; its plastic polymer nature allows it to withstand high winds, extreme summer heat, and subzero winter temperatures. And although it may seem strange to cover a house in a material that is essentially thick plastic, certified vinyl siding is created to resist fading colors, rot, and decay. Vinyl siding is made of PVC, or polyvinyl chloride, and is available in widths of 8-inch, 5-inch, or 3-inch panels. Hire a Vinyl Siding Contractor. Your vinyl siding is only as good as your installation. 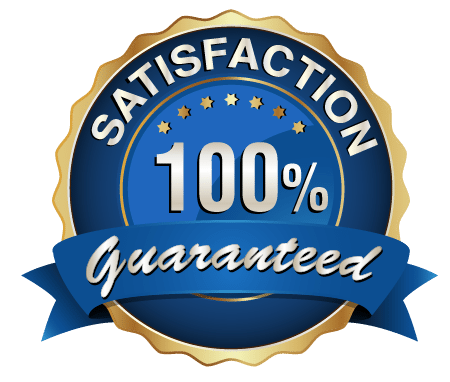 When your vinyl installation is completed by a professional, you can trust that the job will be done right the first time, and many contractors include warranties on not only the product but the installation itself. Be Aware of Improper Installation. When looking at your existing vinyl siding, take note of the installation. Vinyl panels can buckle if they are nailed too close to the building, or the trim around windows and doors can be cut too short, allowing water behind the trim and into the building. Be sure to address these concerns with your contractor, so they can not only modify their installation to prevent it from happening again, but also make sure there isn’t any additional damage as a result of the previous installation. Typical Vinyl Installation Steps. While all installations can vary, these are the typical steps you can expect your contractor to take to ensure not only a safe and effective installation but one that will last for many years to come. Measure and cut the posts for the corners. Measure the length of siding you need for each side of the building. Carefully cut the vinyl panels with this measurement. Nail in the corner posts, followed by measuring and making a careful line with their chalk to mark where the first panel should be nailed down. Nail the start strip in place, a long strip that should be nailed to the building every 10 inches. Place the vinyl strips using a level, and nail them to the building, leaving a gap between the vinyl strip and the house of about one-eighth of an inch. Nail in trim pieces as they go. Know How Long it May Take. Although the time frame will vary based on the size of the structure, whether you’re building a house or adding vinyl over an already established structure, etc., you should allow about two weeks for the project to be completely finished. 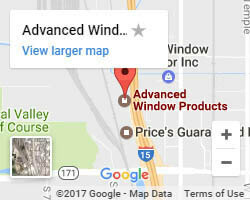 Even though “vinyl siding installation” isn’t in the name of our company, we at Advanced Window Products are here for all your vinyl siding installation needs. We offer installation services in Utah, Idaho, and Wyoming, our prices are fair, and our products are high quality. Contact us here, or call us at 801-505-9622 to find out more about how we can help install your vinyl siding.